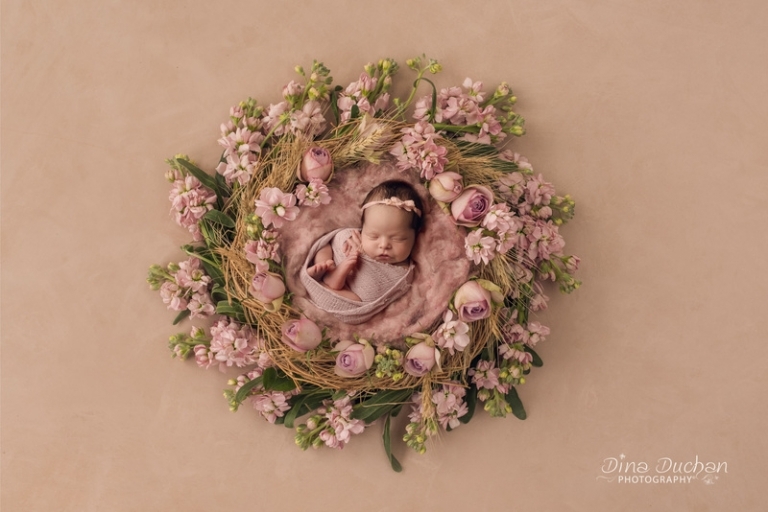 Sweet Everly’s father came to me to photograph this newborn photography session as a token of appreciation to his wife for carrying and birthing their beautiful baby girl. It is always amazing to see how much love is ushered into the world when a baby is born. They were a delightful couple and little Everly slept through most of the session, which meant I was able to capture a variety of setups and poses. When Everly’s parents came to the session, they brought a few inspiration photos. 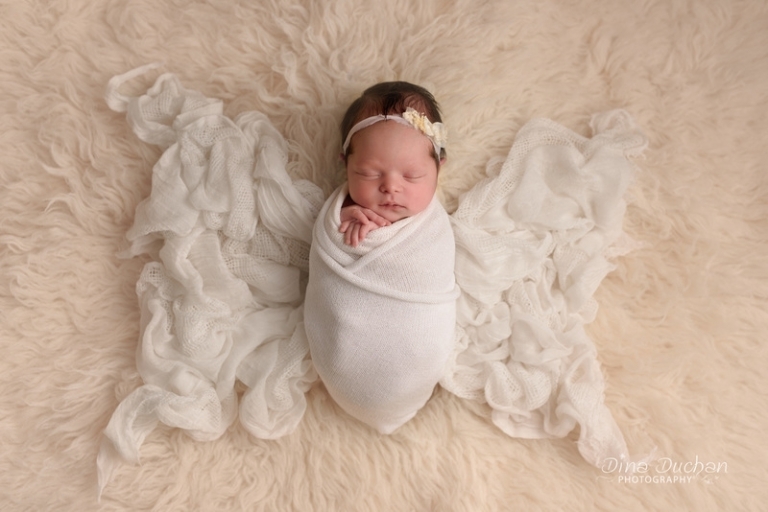 A newborn laying atop blankets laid out like butterfly wings was one of their favorites. It was such a cute idea that I had to redesign it to create a personal photograph of little Everly as a butterfly. The neutral palette has such warmth and makes the photo timeless. Everly’s mother loved how it turned out, just as much as I did. This will be a very special newborn photo for the whole family to look back on as Everly grows up. It is so important to capture these moments while your children are small because they grow up so quickly! 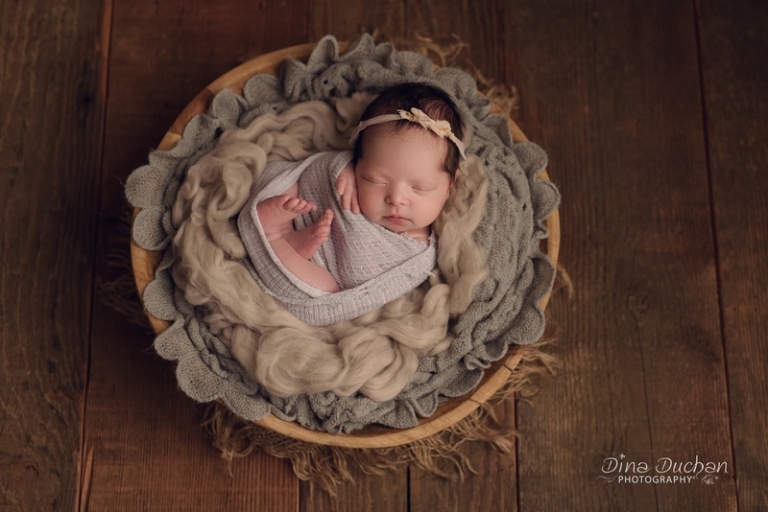 Everly was exactly one week old for this newborn photography session and she was such a pleasure to work with. I am so grateful to have been able to experience the amount of love Esteban and Genni (Everly’s parents) already have for their baby girl. One of the biggest highlights of my job as a newborn photographer has been to be a part of these special moments for new parents. I love being able to capture in a photograph how beautiful and perfect babies are, it’s like showing the world what parents see every time they look at their children. 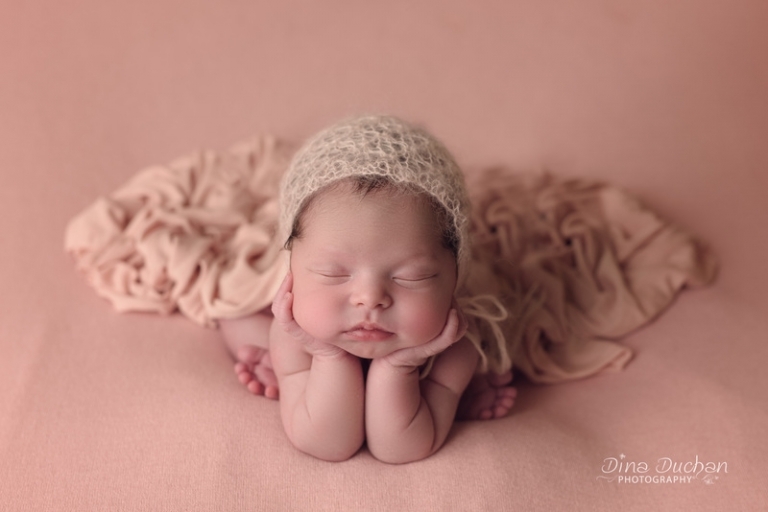 Just look at how precious Everly is while sleeping so peacefully in these photos and how she came wide awake at the end for the perfect family portrait!